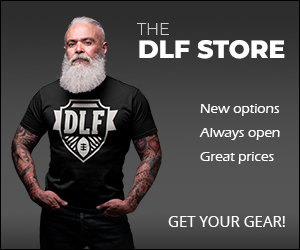 At this point, the DLF Team is spread all over the country and even beyond (one of our editors lives in London, for example). 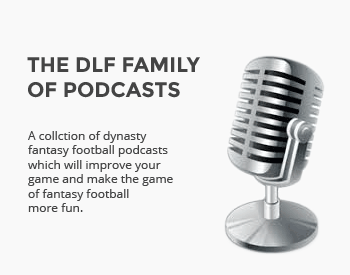 Communication within the team can be very challenging and we all love to talk dynasty fantasy football, so we use Voxer, an app that works like a walkie talkie for smartphones. Voxer is used to leave what equates to be short voice messages and we have the ability to create groups to talk about whatever we may want. 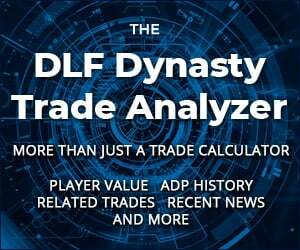 Last night, I decided to perform a quick hitting 12-team, PPR, two-round rookie mock draft using the app and opened it up to everyone on Team DLF. The rules were simple – if you opened the app and saw the draft running, you could choose a player to keep it moving (you just couldn’t pick two in a row). Since we’re all right in the middle of draft season, we just can’t have enough mock draft reviews, so here’s how it went. 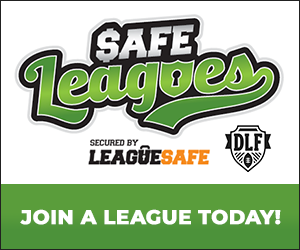 Editor’s Note: Click on the player’s name to read their Rookie Player Profile, an exclusive look brought to you by DLF. Thanks for this perspective! I have a general question about mocks inspired by this post: how reliable are they? It’s easier to take a gamble or play your gut (i.e., I like Mixon over LF) in a mock. But, in real life, it’s much harder to pull that trigger. So, how reliable are mocks in reality? We always ask the team to draft as if they were performing this in a real league. That being said, it’s a lot easier to pull the trigger on Jamaal Williams or Adam Shaheen a little early when there aren’t the risk/reward consequences or team needs aren’t factored into the mix. Every league is different anyway and all it takes is one owner to fall in love with a prospect so even “real drafts” are going to be a little different in your own leagues. It just takes one owner or pick to throw a curveball and skew the whole draft. 1.) The top four are likely to include Corey Davis, Leonard Fournette, Christian McCaffrey and Joe Mixon in some order. 2.) Dalvin Cook and Mike Williams are consistently going at 5/6 in just about every draft we’ve seen or reported on. An owner could reach for one in the top four but it’s not happening often. 3.) The tight end hype is real and it won’t be unusual to see five or even six go in the first three rounds. Plan accordingly there. Those seem to be consistent themes in the first week or two of drafting. Hope that helps! Yeah the Williams and Shaheen picks smell of someone who’s done so many mocks they just wanted to be the guy in the draft that pulled a mega reach to make it different. It’s funny on the one hand, but on the other hand, it always does seem like there is that huge reach in the 1st or early 2nd – whether because of inexperience or someone being so high on someone they have to have them because they traded away their 2nd and he won’t be there in the 3rd. We could criticize it all day, but we’ve all been a part of drafts where someone gets picked and everyone around him is baffled. Doesn’t happen every draft, but still. They are only a snapshot in time. Mocks only give you a general opinion of how OTHER people rate a particular player at the time the mock was taken. If YOU believe Mixon is/will be a better player than Fournette then by all means take him. I’m currently in the midst of 2 drafts. Players that I thought I never would have a shot at, because MOCKS had them going in the early 2nd, were still available for me to choose from in the 3rd round. And vice versa, some players were taken way earlier than where a lot of mocks had them going. In the end its all about how YOU feel about a player. BUT…Could DLF do one that’s non-PPR or half-PPR, or an article covering how rankings and picks would change if not full PPR which all of the mocks have been thus far. Possibly there’s not that much difference, but it would be interesting to see how much the RBs, especially the ground-n-pound types, would move up. Would Perine go ahead or Kamara in a non-PPR, for instance? Also, I’d love to see someone buck the consensus in the top 6 in one of these drafts. Or picking someone other than Howard with the 1.07. Not a risky dart throw that would be unlikely in a real draft, but a player whose selection that high has some justification. In a non-PPR league, I don’t think a ton of things change. I think Fournette is locked into the top RB spot, and Kamara is more of an early second round pick instead of a potential late 1st. All of the other changes would be pretty minor with a player moving up or down a spot. I have the 1.07 and I’ve starting to veer from the consensus of taking Howard to picking Hunt, Perine or Kamara. I like the film on Hunt. My hesitation is that he wasn’t ranked that high before the draft and has received a huge bump since due to his landing spot. We’ve seen this landing spot bump play out and fail before e.g. Yeldon, Agohlor. Need to watch more film to see if Hunt’s bump is justified and that he was simply rated too low to begin with. Also, the Chiefs can’t seem to keep a RB in the lead role for more than a season. After Charles there’s been Davis, West, Ware and now, presumably, Hunt, but for how long? You raise a good point – how does one distinguish btwn hype and reality. I think at the 7th, there will inevitably be risk involved – one thing that makes me feel more confident about Hunt isn’t just his landing spot, but the draft capital invested – the chiefs gave up a 4th and a 7th to move up to grab him and that point in the draft, I don’t think a 4th is something to bat your eye at. This is also the first RB that Reid will have drafted @ KC, I believe, which makes me more confident. Could he be a bust? Absolutely, but TEs take a while to develop and I have zero confidence in Ross’ ability to stay healthy. I would actually put Engram and Hunt in that 7th spot on my board – Engram is going to be used quick and often and BMarsh basically all but recently announced his retirement after the 2018 season.